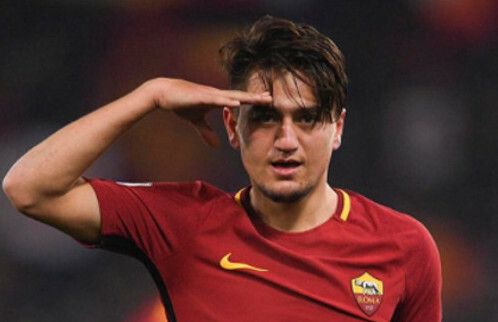 Arsenal are looking to prepare an enticing bid for highly rated Roma attacker Cengiz Under after reports claim that rivals Tottenham had a £30 million bid rejected by Roma. The Turkish international has settled in quickly at the Italian capital since his move last season and has established himself in the first team. According to top Italian tabloid, Corriere dello Sports, Arsenal are locked in a race with Barcelona and Bayern Munich who have expressed interest in the silky winger. Under is capable of playing in the attack or in the midfield and has contributed goals and 5 assists this season. Tottenham boss Mauricio Pochettino is keen for the player who he believes can bring a different dimension to the attack. While Unai Emery wants the winger due to the pace and incision he brings to the attack. It is believed that Roma wants around £45 million for the 21-year-old who is on a long-term contract with the Italian giants until 2022. Under would be an excellent addition to the Gunners forward line and could oust the misfiring Henrick Mkhitaryan in the attack. However, Arsenal would have to shell out big bucks if they are to sign a player with huge potential such as Under.